White House adviser Jared Kushner speaks in the East Room of the White House, Washington, May 18, 2018. U.S. President Donald Trump's son-in-law and adviser, Jared Kushner, will carry out official visits to a number of Gulf countries to introduce the economic part of the so-called Middle East plan. In late February, along with several U.S. officials, Kushner will visit Oman, Bahrain, Saudi Arabia, the United Arab Emirates (UAE) and Qatar. Jason Greenblatt, the president's Middle East envoy, the State Department's Special Representative for Iran, Brian Hook, and deputy assistant to the president, Avi Berkowitz, will join him. The visit seems to be part of the U.S. policy to curb Iran's influence in the region while expanding that of Israel. Due to the government shutdown, the visit, initially planned to be held in January, was postponed until February. The Middle East plan has not been announced; however, it is likely that the Israeli-Palestinian conflict and Iran's military activities in the region, primarily in Syria, will be at the center. New investments may be made and economic opportunities may be created, especially for Palestinians. The expected economic incentives will come with the political side of the plan. The political side arouses curiosity as the U.S. has been supporting the PKK's Syrian branch, the Democratic Union Party (PYD), and has moved its embassy from Tel Aviv to Jerusalem; therefore, any plan will not please Turkey and Iran. Since Trump ascended to the presidential post, his administration has concentrated on Gulf countries for the Middle East plan, as a fresh rapprochement is observed between these countries and Israel. Similar to the U.S., Israeli Prime Minister Benjamin Netanyahu has launched an initiative to develop positive relations with Gulf countries, especially with Saudi Arabia, as Crown Prince Mohammed bin Salman is known for his soft stance toward Israel. The two countries, namely Israel and Saudi Arabia, consider Iran the biggest threat to themselves. Saudi Arabia believes Iran funds certain groups in Yemen as well as in Syria and Iraq, while Israel claims Iran and its proxies support groups like Hezbollah; groups Israel considers existential threats to its soil. Israel and Saudi Arabia agree that Iran must be stopped and its power must be curbed at any price. It is noteworthy that Saudi Arabia considers Hamas as dangerous as Israel, since it believes the Muslim Brotherhood and its affiliates are a direct threat to it. Certain Israeli officials, including Prime Minister Netanyahu, have visited some Gulf countries in the last months, giving a substantial signal for the policy change. 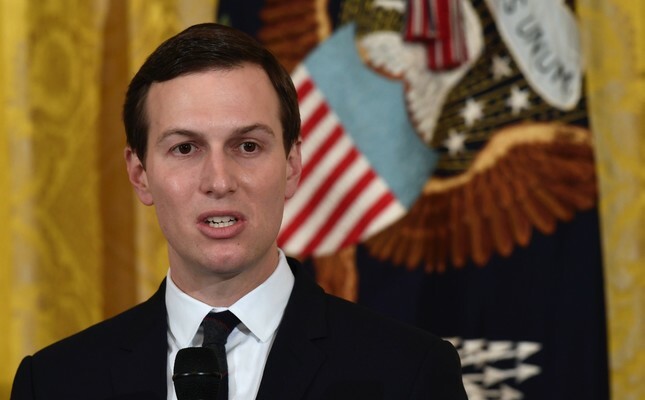 Hook's presence in the entourage signals that Kushner will play the Iran card for the Gulf countries, which are at odds with the Tehran government over any regional issue. Moreover, the Gulf countries would like to curb both Iran's and Qatar's influence over Palestine, particularly in Gaza. Thus, any economic offer from the U.S. for the Palestinians will be considered better than those offered by Qatar or Iran.